Paul lost his 17-year battle with cancer in his home surrounded by his loving family and friends. He was born October 13, 1946 to Laveine and Beulah Townsend of Anchorage. 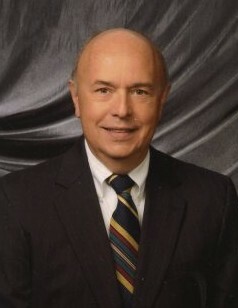 He graduated from Eastern High School in 1966 and the University of Kentucky College of Dentistry in 1973. After dental school Paul joined the U.S. Air Force and was stationed in Merced, CA from 1973-1976. Upon returning to Louisville Paul started the Anchorage Dental practice. He retired from dentistry after 45 years and was able to focus on his real passion, woodworking. He touched many lives through his mentoring. He loved to travel and explore the world. He leaves behind his wife of 48 years Peggy; two daughters Tonia Reid (Brady) and Martha Ward (Alan); two brothers David (Jan) and L.M. (Sally); in addition to four grand children Haberlin Roberts, Ben Roberts, Calvin Ward, and Felix Ward. Memorial contributions can be made to Crestwood United Methodist Church or Hosparus of Louisville.